Kids will appreciate attractions like San Diego Zoo and Torrey Pines State Natural Reserve. Next up on the itinerary: meet the residents at SeaWorld San Diego, appreciate the history behind Cabrillo National Monument, kick back and relax at Mission Beach Park, and have fun at Balboa Park. To see where to stay, ratings, other places to visit, and tourist information, use the San Diego trip itinerary website . Leeds, UK to San Diego is an approximately 16.5-hour combination of train and flight. You can also do a combination of bus and flight; or do a combination of train and flight. Due to the time zone difference, you'll gain 8 hours traveling from Leeds to San Diego. In August, San Diego is a bit warmer than Leeds - with highs of 30°C and lows of 23°C. Cap off your sightseeing on the 6th (Thu) early enough to go by car to Los Angeles. 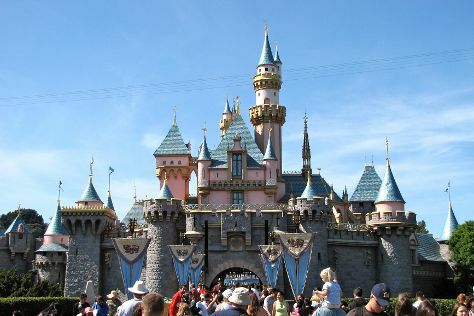 You'll visit kid-friendly attractions like Disneyland Park and Universal Studios Hollywood. You'll find plenty of places to visit near Los Angeles: Anaheim (Disney California Adventure Park, The VOID, & more). There's much more to do: see the sky in a new way at Griffith Observatory, look for gifts at Amoeba Music, take a leisurely stroll along Santa Monica Pier, and examine the collection at The Getty Center. To see traveler tips, more things to do, maps, and more tourist information, use the Los Angeles driving holiday planner. Traveling by car from San Diego to Los Angeles takes 2.5 hours. Alternatively, you can take a bus; or fly. Expect a bit warmer weather when traveling from San Diego in August: highs in Los Angeles hover around 34°C, while lows dip to 22°C. 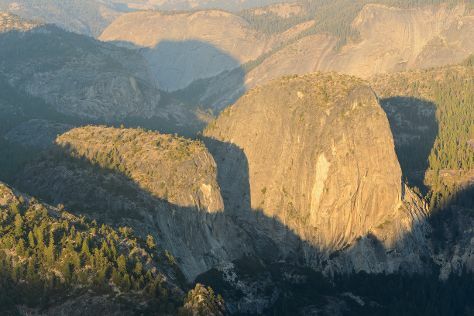 Finish your sightseeing early on the 12th (Wed) so you can travel to Yosemite National Park. Yosemite National Park is known for nature, trails, scenic drive, wildlife, and museums. Your plan includes some of its best attractions: explore the striking landscape at Glacier Point, hike along Mariposa Grove of Giant Sequoias, tour the pleasant surroundings at Nevada Falls Loop, and take a memorable drive along Tioga Pass. To find other places to visit, traveler tips, photos, and more tourist information, go to the Yosemite National Park online tour planner . You can do a combination of flight and car from Los Angeles to Yosemite National Park in 4.5 hours. Alternatively, you can drive; or do a combination of flight and bus. Plan for much colder nights when traveling from Los Angeles in August since evenings lows in Yosemite National Park dip to 7°C. Finish your sightseeing early on the 19th (Wed) so you can travel to South Lake Tahoe. You'll visit kid-friendly attractions like River Rafting & Tubing and El Dorado Beach. You'll find plenty of places to visit near South Lake Tahoe: Kings Beach State Recreation Area (in Kings Beach) and Gatekeeper's Museum (in Tahoe City). The adventure continues: race across the water with a speed boat tour, stroll through Meeks Bay Beach, enjoy the sand and surf at Baldwin Beach, and take a memorable tour with Tours. To see reviews, more things to do, traveler tips, and more tourist information, go to the South Lake Tahoe attractions tool . You can take a bus from Yosemite National Park to South Lake Tahoe in 6.5 hours. In August, daytime highs in South Lake Tahoe are 32°C, while nighttime lows are 7°C. Wrap up your sightseeing on the 24th (Mon) early enough to drive to San Francisco. Family-friendly places like Exploratorium and Fishing Charters & Tours will thrill your kids. Dedicate the 28th (Fri) to wine at some of the top wineries in the area. And it doesn't end there: take in the views from Golden Gate Bridge, make a trip to Ferry Building Marketplace, admire all the interesting features of Golden Gate Park, and take in nature's colorful creations at Japanese Tea Garden. 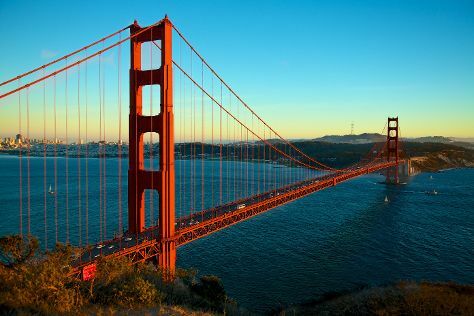 For maps, other places to visit, traveler tips, and more tourist information, read our San Francisco trip itinerary planner. Traveling by car from South Lake Tahoe to San Francisco takes 3.5 hours. Alternatively, you can do a combination of bus and flight; or do a combination of bus, flight, and train. Traveling from South Lake Tahoe in August, you will find days in San Francisco are slightly colder (26°C), and nights are somewhat warmer (17°C). Finish your sightseeing early on the 30th (Sun) to allow enough time to travel back home.